In the control group, no women experienced a change in the cancer status of the tumor removed during surgery. The Tykerb-only group experienced the same results as the control group. However, in the Herceptin-only group, one woman had a pathologic complete response and one woman had minimal residual disease. As with the first test, the researchers compared cancer tissue samples removed during the first biopsy and a sample of the mass removed after the 11 days of treatment. In the control group, no women experienced a change in the cancer status of the tumor removed during surgery. In the Herceptin-only group, no women had a pathologic complete response and one woman had minimal residual disease. Shockingly, in the Herceptin-Tykerb group, 7 women had a pathologic complete response and 11 women had minimal residual disease. The cancer tissue samples also showed a drop in Ki-67 protein levels, which is a marker of proliferation. Currently, Herceptin’s licensing does not allow for it to be used without chemotherapy. Meaning that the study may unlock new possibilities for cancer treatment. As you know, chemotherapy has incredibly negative side-effects, including hair loss, extreme fatigue, cognitive decline, and illness. Worst yet, the treatment spans over months, dragging out these symptoms too. Some doctors have even gone so far as to say the chemotherapy kills more people than cancer does. However, the drugs used in the study have their own risks. 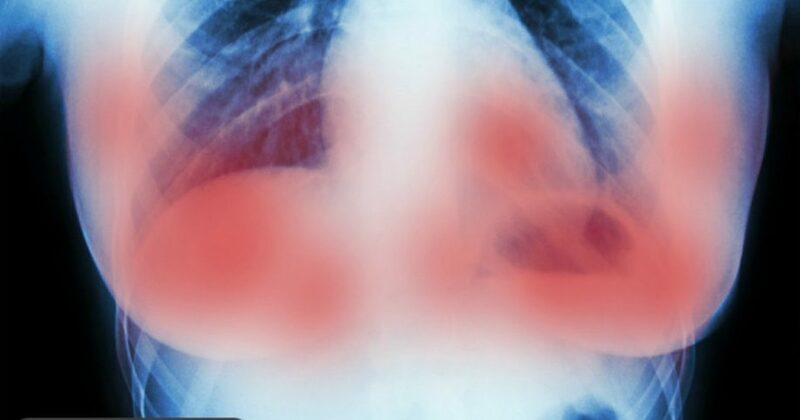 Side-effects of Herceptin include cardiac failure, potentially fatal lung damage, and myalgia. Other common effects include fever and chills, nausea, vomiting, pain, headache, dizziness, dyspnea, hypotension, rash, and asthenia. It also includes infusion reactions, diarrhea, infections, increased cough, headache, fatigue, rash, neutropenia, and anemia (5). Lapatinib, also called Tyverb or Tykerb, switches off HER2 to make the cells stop growing or die outright. Side effects include diarrhea, skin changes, illness, fatigue, hand-and-foot syndrome, loss of appetite, indigestion, headache, sleeping problems, and muscle and joint pain. Other issues include fertility problems, liver injury, heart problems, nose bleeds, hot flashes, coughing, breathing difficulty, mouth pain, and abdominal pain (6). Most of these side-effects are experienced by as many as ¼ or 1/3 of patients. Women who were treated with a combination of Herceptin and Tykerb before surgery experienced the same side effects Tykerb alone, but more severely. As it stands, cancer research doesn’t really explore non-pharmaceutical treatment as a viable medical solution. However, as there are an increasing amount of patients that cure their own disease, we can only hope that all-natural solutions may become more popular and credible in the near future.